Police have issued a warning over bogus telephone requests for money. 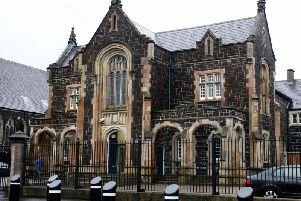 A PSNI spokeperson said: “In the past few days, a number of residents of Mid and East Antrim have received telephone calls from persons claiming to be from HMRC and asking for payment of various amounts for outstanding tax debts and threatening arrest if the debt is not paid. “This is not HMRC and you will never receive telephone calls from this department requesting payment of any kind - their form of communication is by letter.